This is something; I have baked two different bananas recipes in less than a month. This is more than I have baked in a whole year when it comes to bananas. Don’t get me wrong I love bananas, but I guess you could say that I am a chocolate loving girl when it comes to baking. I am the type that love to make banana bread, but that is about as far as it gets when it comes to bananas. 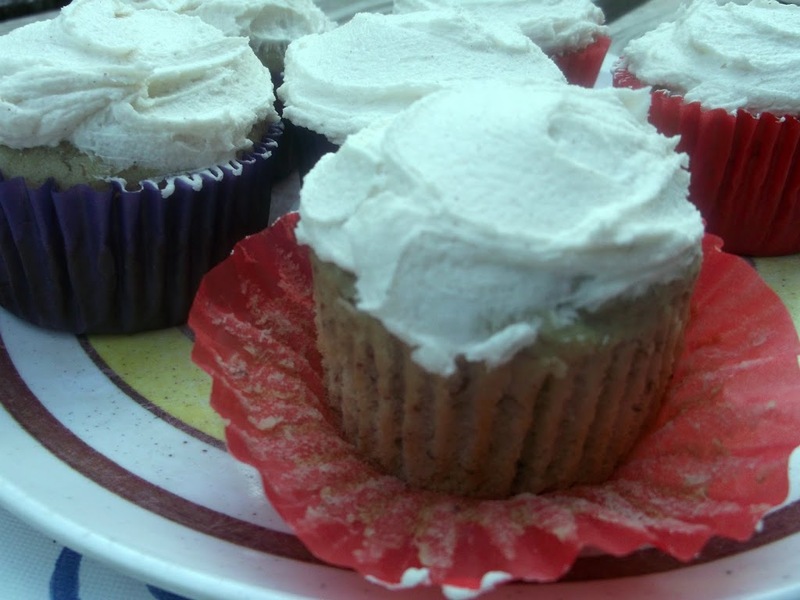 I actually made these roasted banana cupcakes for the Martha Stewart Cupcake Club (MSCC). I was invited to join in on the fun by Ros over at The More Than Occasional Baker. She is hosting the cupcake club this month and is the one that picked the roasted banana cupcakes for everyone to bake. Each month the host of the MSCC chooses a recipe from Martha Stewart’s Cupcake book for the participants to bake (you can change the recipe up if you so desire). In order to join this cupcake club you should own Martha Stewart’s Cupcake book and you also must have a blog. Each month the recipe that is chosen is posted by the bloggers on the15th of the month. Now back to the cupcakes. The bananas are actually roasted in there skins in the oven for 15 minutes and cooled before they are added to the batter. Yes, I said roasted in there skins. When you take them out of the oven after the 15 minutes are up the skins of the banana are totally black, but when you open the bananas up the bananas are soft and yummy. I do have to say that I was a little skeptical about the whole roasting thing, but do not fear the cupcakes are wonderful. 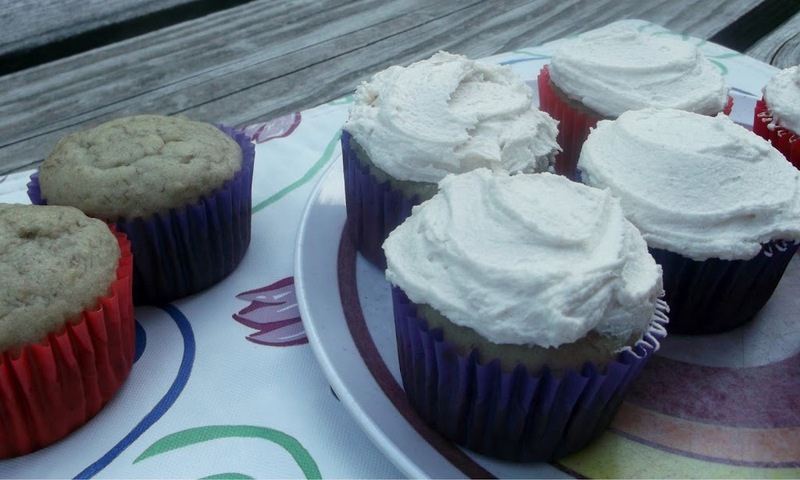 MY cupcakes were a little firmer than most cupcakes that I have made in the past, but they have that nice banana taste. There was no complaining at my house when I made these roasted banana cupcakes, only smiles and happy tummies. I will not be posting the recipe for this post, part of the rules of the baking club. 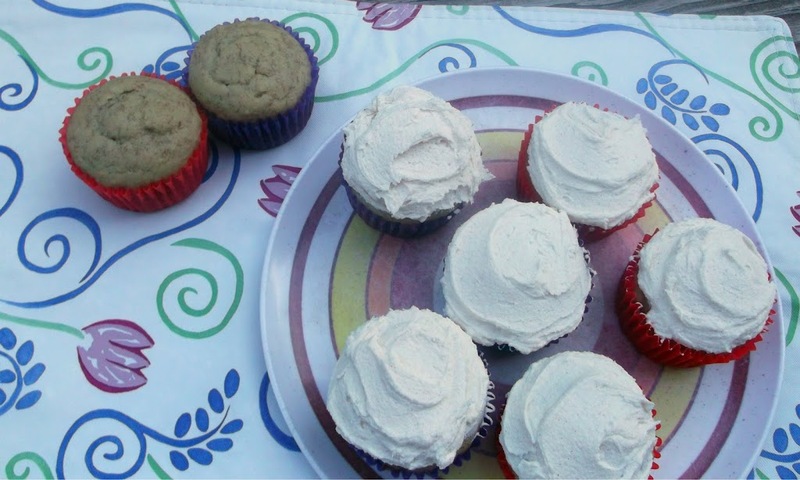 Recipe from Martha Stewart’s Cupcakes – Page 140-141. I never had roasted banana before but I’m curious about how it tastes! Your cupcakes look delish! I love Martha’s recipes. Yum! It sounds delish! I don’t know why I have never try this idea. Thank you for sharing! These sound quite awesome with the roasted bananas. A unique and delicious sounding cupcake!